Undoubtedly, mobile apps have transformed us into digital denizens and are dominating the marketing for quite a long time now. People spend hours and hours on their smartphones, all thanks to the variety of apps available to them. Mobile app development is becoming more strong with the integration of the internet of things (IoT). Mobile apps are making our smartphones, even more, smarter and enhancing every aspect of our lives. Mobile apps have built the foundation for the internet of things. IoT is described as several devices connected to each other over the internet for the operational ease. This connectivity can happen anywhere and helps the devices to interact with each other. IoT is gaining a lot of popularity as its easy to use and its entire focus is to make our lives convenient. IoT along with Artificial intelligence is changing the way mobile apps are developed these days. Lot of industries such as energy, healthcare agriculture etc are using the internet of things. We can see its uses in our daily lives like connected cars, wearables, smart cities and many other. In another word, IoT has transformed the perception of how we see the world. Almost every device has become smarter with the help of IoT, hence the mobile app developers should pay more focus on the development of mobile apps using IoT. IoT has an immense impact on the mobile app development. It has reduced the human efforts drastically, now you can control almost all your gadgets through your mobile phones. Also, it does every task with the perfection, which means it puts pressure on the app developers to make more apps and more that are user friendly. With IoT, the household products have become centralized. You can operate all your household appliances through your smartphones. The developers are experimenting with the new technologies and putting them in a good use. The best example is the use of IoT in the mobile app development. 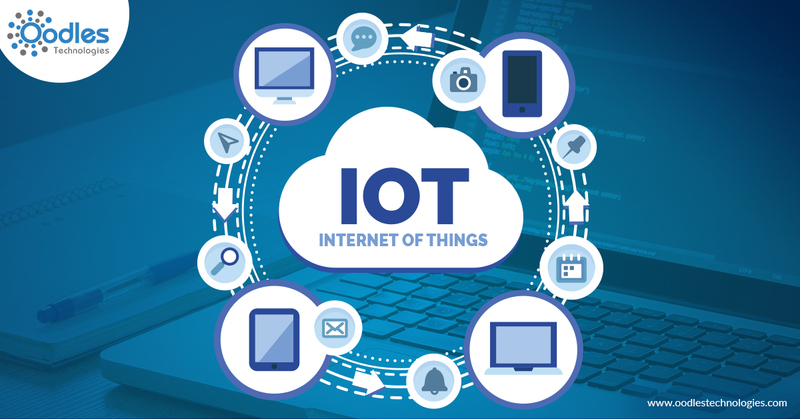 The developers are mostly concerned about the security of data in IoT as the interconnection of devices means sharing of large data. Thus the interconnected data are more prone to hacking. Therefore developers ensure, the devices that are connected to each other are secure enough with data encryption or other techniques. IoT has made a huge impression on the way we interact with other devices. It has not only made our lives easy but also reduced our work. Thus there is an immense need to support the IoT in the mobile app development. It is always better to invest money on the development process than spending money on fixing issues later on. Using the internet of things in the mobile app development provides a new level of data and service. With the growing era of digitalization, IoT has entered the market at just the right time. Surprisingly, mobile phones have pre-installed IoT sensors in it, which helps the phone to detect your location. The sensor plays an important role in the car service apps, it can locate the nearest taxi from your location. By now, we know how IoT has changed the world rapidly along with the mobile apps. No one can imagine their lives without the use of the phone and hence it is no longer the option to use IoT in mobile apps, instead, it has become mandatory.